Our Nutrition and Food Services (NFS) Department café is located on the lower floor of the facility and is open to patients, their guests, and employees from 7:30 am - 6:00 pm, daily. Complimentary coffee, tea, and filtered water are available across the hall. 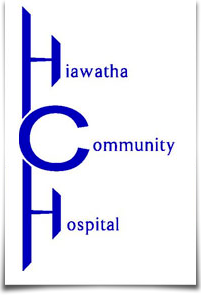 As of April 2017, Hiawatha Community Hospital is proud to offer room service to our inpatients! Room service is a rejuvenated food service program. Previously, patients admitted into the hospital were served three meals a day from a limited menu. The new model turns food service from kitchen convenient to patient convenient with a focus on quality and improved nutrition. Patients can now order what they want, when they want from a comprehensive menu within their prescribed diet. NFS also produces a variety of nutritious meals on wheels for the surrounding community. For more information on signing up for this service, please contact our Home Health Department at 785-742-6273.